In winter you will mostly find me wrapped up in my faux fur coat and my head hidden under a hat. I just am not one for the cold weather at all, so when it comes to winter fashion I am all about either the coat or the accessories. 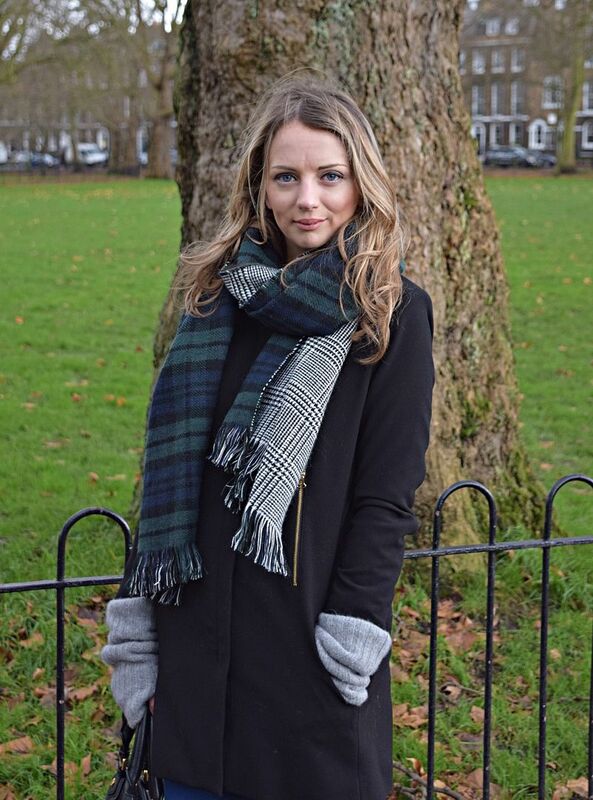 Last week I picked up this reversible tartan scarf in New Look, I just love the fact it is double-sided, one side is tartan and the other a black, grey and white check. It’s great for wearing with different outfits or like what I’ve done in this outfit just twisted it to add a textured effect. I think tartan goes really well with tan and so these tan boots from Clarks were the perfect addition. 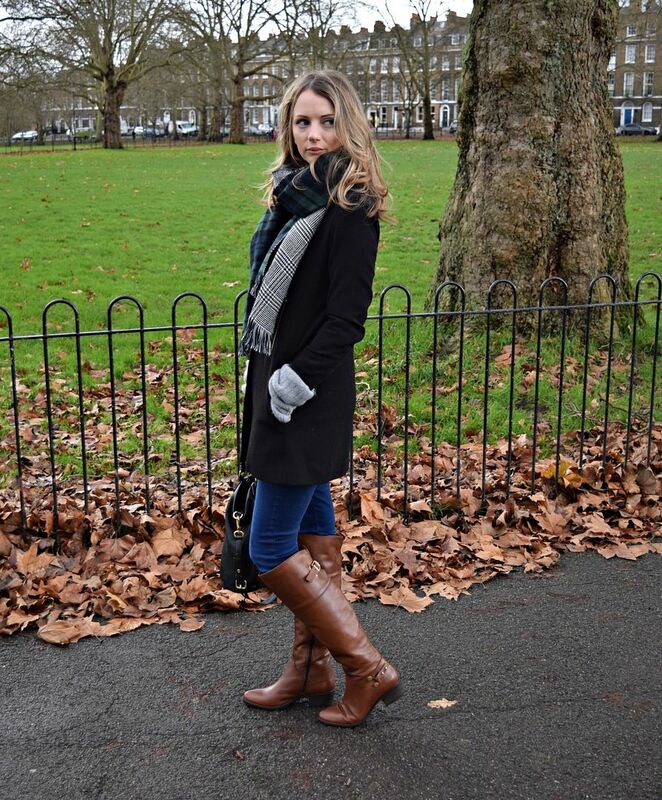 I love a knee-high boot as it keeps your legs warmer. 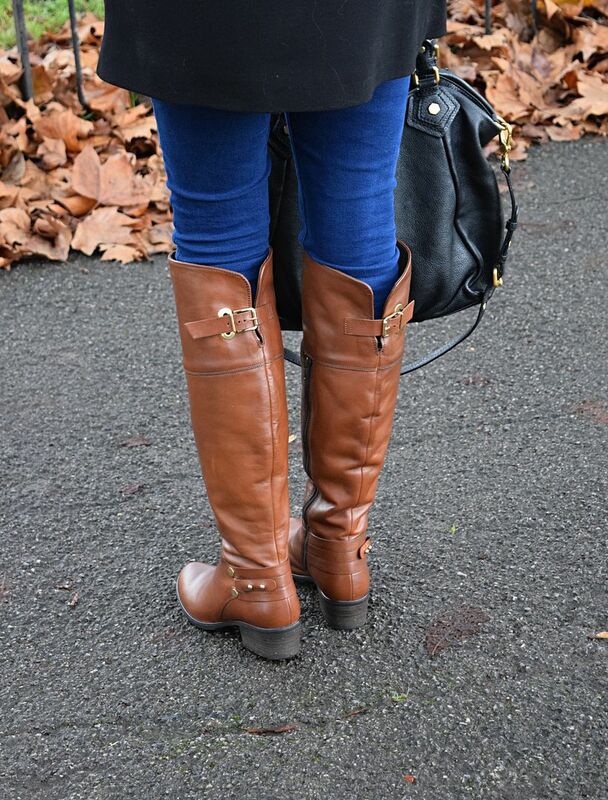 These boots are so comfortable and have a small chunky heel, studded gold details on the ankle and a buckle fastening at the top, great for yesterday’s walk through the park. They are also real leather so are so soft to touch! For the rest of the outfit, I am wearing a pair of ASOS jeans and my coat is from Stradivarius. It’s slightly thinner as I was wearing a big wooly knit and great for adding a big scarf over such as this one. The gloves are cashmere and fingerless, I’m starting to think even though how warm they are I might need some ones with fingers, it’s just been so cold the past few days! I would have had a hat on if I hadn’t had my hair blow-dried the day before, but more on that soon!